Oops, you are using an outdated browser. Please upgrade to a modern, fully supported version and open the landing page. World of Tanks enCore is a demo for the new graphics engine for World of Tanks. The application will assess the performance of the updated game on your PC. World of Tanks enCore is the demo of Core, the brand-new graphics engine for World of Tanks, developed in-house at Wargaming. Choose from 3 graphics presets: “Minimal”, “Average”, “Ultra”. Adjust anti-aliasing and screen resolution. World of Tanks enCore will assess the performance of your PC for running World of Tanks with the Core engine. CHECK OUT WORLD OF TANKS’ NEW GRAPHICS! What is World of Tanks enCore? World of Tanks enCore is a demo app for Core—a new, unreleased graphics engine for World of Tanks. 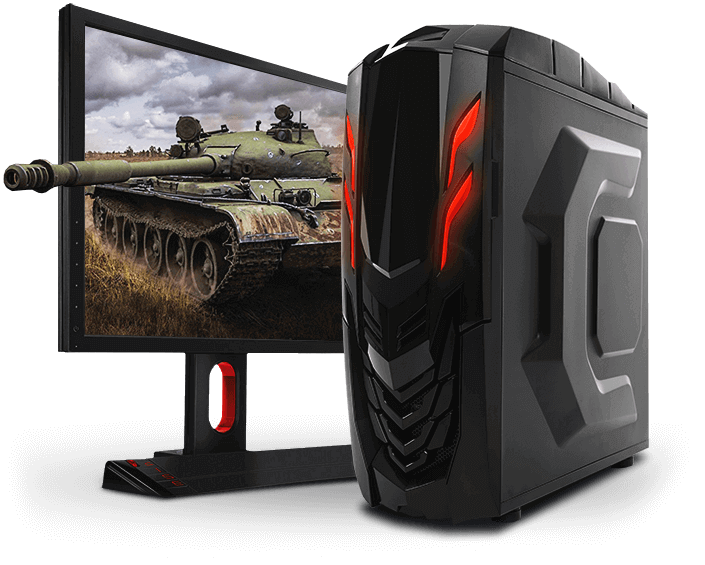 You can run World of Tanks enCore on your PC to assess its performance in World of Tanks with the Core engine. Who developed World of Tanks enCore? World of Tanks encore and the Core engine were fully developed in-house by the World of Tanks PC development team. What will the Core engine add to World of Tanks? Core will significantly improve the game’s visuals. The switch to the new engine will substitute almost all map elements—terrain, water, flora, lighting, shadows, buildings and other objects—with new ones, developed from scratch. What graphic quality presets are there in World of Tanks enCore? There are 3 graphic quality presets in enCore: Minimum, Medium and Ultra. These are also the graphics presets of World of Tanks with Core engine, so they are different to those currently in the World of Tanks client (Minimum, Low, Medium, High, and Maximum). In some cases, World of Tanks enCore might recommend a lower setting than the one you’re running in the current client (e.g. you might be used to Maximum and get Medium, not Ultra). How are the enCore graphic quality presets different? The graphic presets of enCore differ by default screen resolution and texture quality, lighting and shadows, terrain, water, particles, etc. You may set the screen resolution for all presets, and anti-aliasing for Medium and Ultra presets. Manually set parameters will be marked by a cog icon. While comparing your PC’s enCore score with others, please bear in mind the resolution and anti-aliasing level. Do the graphical customization limitations of enCore apply to World of Tanks with the Core engine? No, these are enCore-only. We give players the broadest possible range of settings in the current client and will continue to do so after we switch to the Core engine. enCore gives the following message: “Error testing performance. Try to re-launch”. What should I do? It means that either our enCore app or your graphics card driver has crashed. Please contact our support team (https://eu.wargaming.net/support/, https://na.wargaming.net/support/, https://asia.wargaming.net/support/). 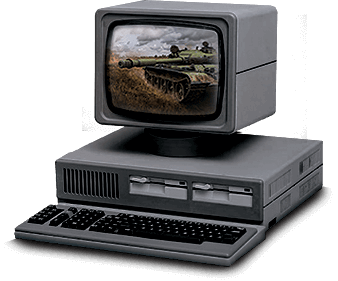 My PC can barely handle current World of Tanks graphics. Should I hit the panic button? Nope! First, you should run enCore, trying every preset. We’ve put a lot of time and effort into optimizing Core—especially for medium and low-spec PCs. Is my enCore score a final verdict on how the new World of Tanks graphics engine will perform on my PC? No. It is more of an approximation. Why does enCore assess my PC performance using points and not FPS? World of Tanks enCore is a demo app and not a benchmark, and that’s why points are used. They reflect your PC performance adequately, and let you compare it to other scores. 10 000+ points is an excellent score, meaning that World of Tanks with Core will run extremely smoothly on your PC, precluding any FPS drops. A score of 8001+ (“gold”) is an excellent one. Anything between 3001 and 8000 (“silver”) is good, and a score below 3000 (“bronze”) is passable. My PC has 2 graphics cards. Will it cause problems with enCore? If you launch World of Tanks enCore on a laptop with integrated and dedicated graphics cards, the app should use the latter by default. If it doesn’t, go to your graphics card driver settings and set enCore to use the dedicated graphics card. If your PC comes with a multi-card solution (nVIDIA SLI, AMD CrossFire or analogues), enCore might not work correctly as it is optimized for use with a single graphics card. What operating systems is World of Tanks enCore compatible with? World of Tanks enCore is compatible with Windows XP SP3/Vista/7/8/10. What are the minimal system requirements of World of Tanks enCore? They are the same as the current World of Tanks client. You may look them up on the game’s official site (https://worldoftanks.com/en/content/docs/download/). Does World of Tanks enCore have conflicts with antivirus software? Certain antivirus suites may prevent World of Tanks enCore from launching. How do I share my World of Tanks enCore score with my friends? In the Test Results menu there is the Go to Screenshots of Results button. It gives you access to the folder containing your scores—in pictures with sizes optimized for social networks. I keep getting different scores in World of Tanks enCore, what’s the problem? The demo app might not have taken into account certain background processes that were running on your PC. So we recommend you refrain from watching videos, playing World of Tanks or other games, and launching antivirus and other software that use a significant amount of system resources while running the enCore app. We also advise laptop owners to plug them in while running enCore. Is it possible to launch World of Tanks enCore and watch the Best Replays of the Week show on YouTube at the same time? It is quite possible and even convenient if you have more than one display. Still it may affect your PC’s enCore score negatively, so it’s better to watch the Best Replays of the Week show separately. When will World of Tanks switch to the Core engine? We will announce the exact date later. However, the release of World of Tanks enCore shows the switch is going to happen soon.